Informal Names: The Union, Uthaum Revolutionaries. A futuristic war-zone is an understatement to the sheer beauty the torn environment lets off, even if blood still coats the walls of buildings all around the planet. Metal husks that were once giant war machines litter the countrysides like sea-weed on a beach, the shouts and screams of men and women once there are often heard, even if their bodies and spirits are long gone. The now de-militarized world has much to rebuild, and even more to mourn over. Even with the near total destruction of the planet and its people, there are still areas left untouched by the war that ravaged the land not too long ago. The capital city of Uthaum, simply called Citadel, is a shining beacon of what the Union can do for the rest of the planet, and to show that they are very much in power over the men and women of this land, both politically and militarily. 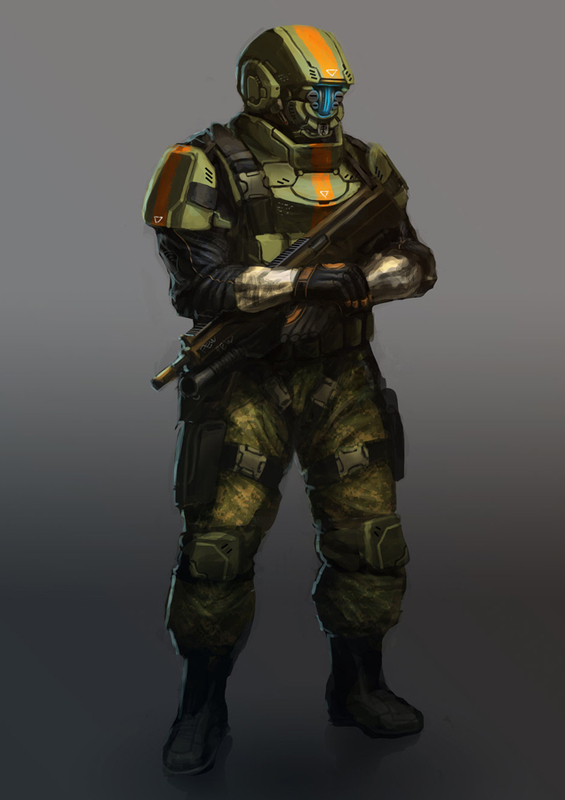 Though the vice of opression has lessened on the men and women of Uthaum thanks to the revolution, the new Union have strict regulations over the planet to ensure no Ex-Helkion Forces are ready to stage a coup to return the planet to Helkion control. The less civilized areas of Uthaum are home to the planets wildlife, some of which were brought from the old Earth before it was engulfed in nuclear fire. Deer, bears, wolves, domesticated dogs, cats, and other land animals have adapted to their environment, which is quite similar in both climate and landscape to the Canadian Rockies and Shield region, allowing the multitude of animals to virtually be at "home" on the planet. They have, however, faced natural opposition from the planets native species, such as large flying beasts similar in size to a bear, and small snake-like water fish that pack a viral plague that spreads quickly, however dies out in a matter of hours. The humans have domesticated several of the planets native animals, yet the Humans (and some Helkion and Kahldorr) prefer dogs and cats. Where the Union and the Valdorei may lack in, their Military more than makes up for it. After the War of the Valdorei, any weaponry and technology that the Helkions had was sent directly to the Union, blueprints and all. 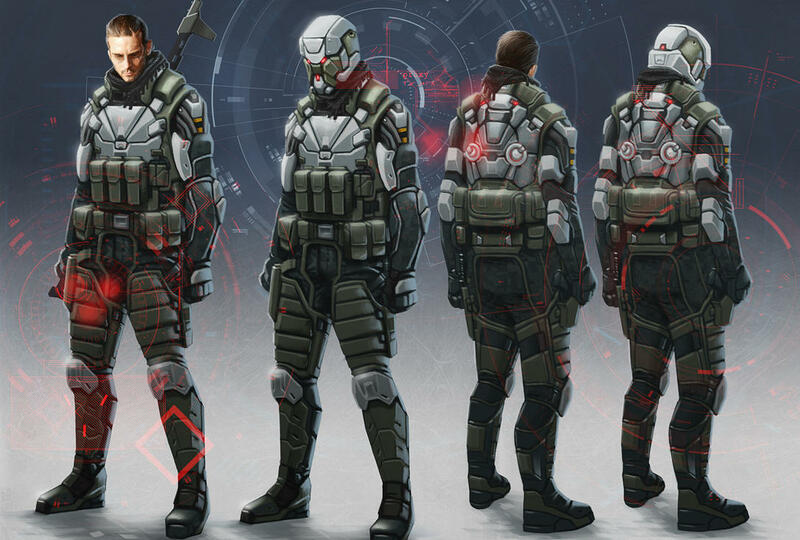 The Union, which was made up of mostly humans, was able to design their own armaments, ships, weaponry, and vehicles all from the blueprints and resources obtained from the Helkions. 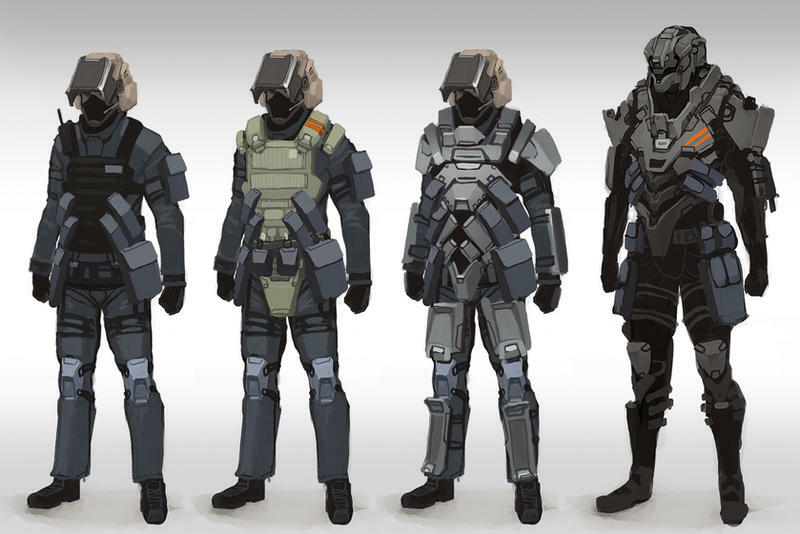 These design changes were crucial in which they would be able to suit Humans, Helkions, and Kahldorr specifically, allowing all three species to use, wear, and operate any of the weaponry, which in turn allowed any species to join the Union, even the Helkions (those who showed support for the Union's ideals). Mechanical Vehicles such as the T-79C (shown below with a group of Union Jungle Patrol soldiers) are massed produced, the population of the 79C is nearly one for every two Military personnel. 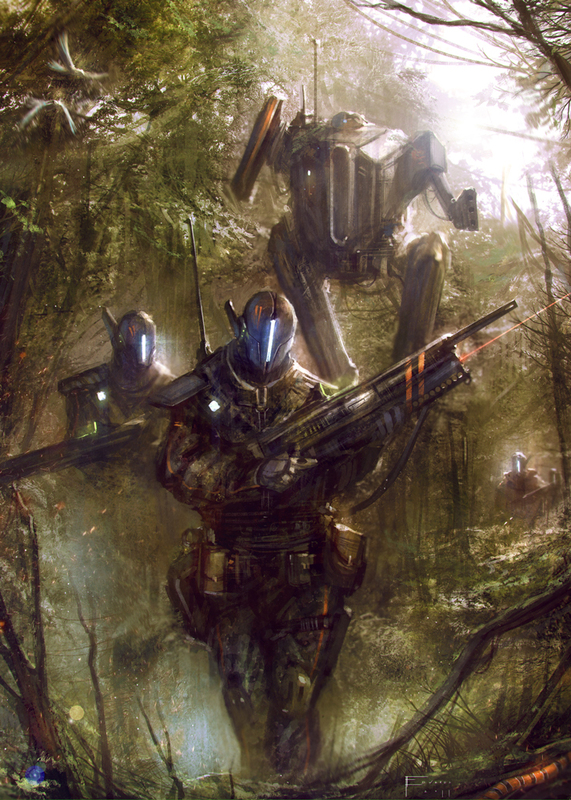 The mech has been made for any terrain and environment, two large .50 Cal rotating machine guns are positioned on the right of the walker, while a rotating missile launcher with automated reloading system is on the left. This beast of a machine likely turned the tide in the Valdorei war for the Humans. The main infantry unit, often called "Valkyries" by the Valdorei, are mainly humans and Kahldorr, however some Helkions are accepted into front-line ground combat duty, however only males, as the Union is attempting to bolster the races population as quickly as possible. After much deliberation from all sides of the Union, most combat will be handled via combat squads and companies accompanied by one to seven mechanical support vehicles (MESV). Several engineers would also tag along, for repairs and maintenance of the vehicles. The Union's top atmospheric fighter, the Heilrasser UU-3, was built in accordance to the National Union Charter of Rights and Liberties, which declared that all military fighters will be built on Uthaum, to bolster national pride and create jobs. The fighter, which has fold-able wings for faster, super sonic flight, contains multiple kinetic, chain-gun-like weaponry, on top of the several missile pods attached to the underside of the wings. Some select versions of the Heilrasser are able to carry a payload of three energetic bombs, usually used to wipe out a large area of personnel, yet keep the buildings intact. The cockpit is of course fitted for any of the Union's races. On the other side of the front, the Aeonic Heiltrans T-5, is a heavily armoured aerial troop transport vehicle. The large ship, which lacks quite a bit of weaponry, makes up for it in defence and evasion tactics. It is equipped with only one rocket pod, and one nose machine gun, which is often used to clear out Landing Zones for the troops. Even though the Union has yet to perfect the art of aerial troop transport, the Heiltrans is the first big step towards a better and safer vehicle. The second and most popular of the troop transports is the Aerospace Heilshriker V-55. The ship, capable of both atmospheric and outer-space transportation and combat. Opposed to the Heiltrans, the Heilshriker is virtually weapon-less, only having the fairly weak kinetic nose gun. It is far from what the Union wants as a transport, but it has worked so far. 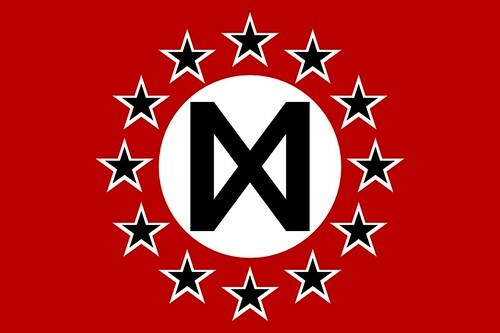 With the aid of the Kahldorrians, the ship is being mass produced, however some believe it will soon be phased out of commission for the more weapon-heavy Heiltrans. 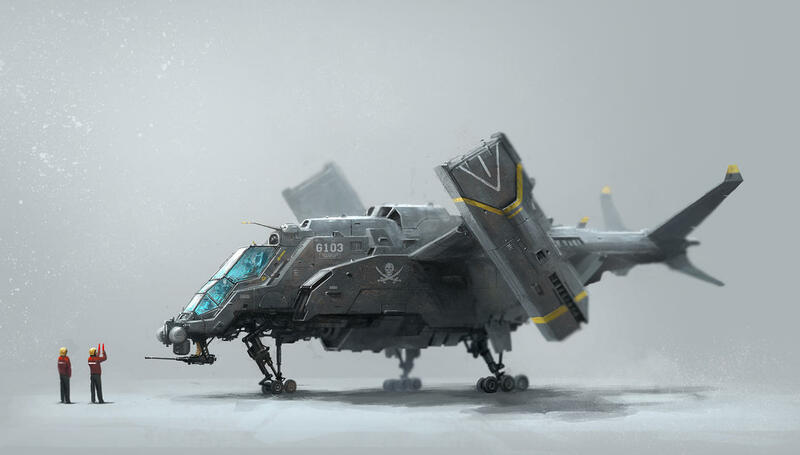 But for now, the Heilshriker is the favorite among Valkyries, only second to the VTOL. The AUCS Viking, one of three Capital Ships, was made for the soul purpose of democratic missions. The large ship has multiple cargo holds and meeting rooms, and is basically a large floating apartment building. The ship can contain up to three thousand human troops at a time, not counting pilots and other personnel. The ships large size and rather odd shaping gives no advantage on the battlefield, however the ship is still equipped with its fair share of weaponry. 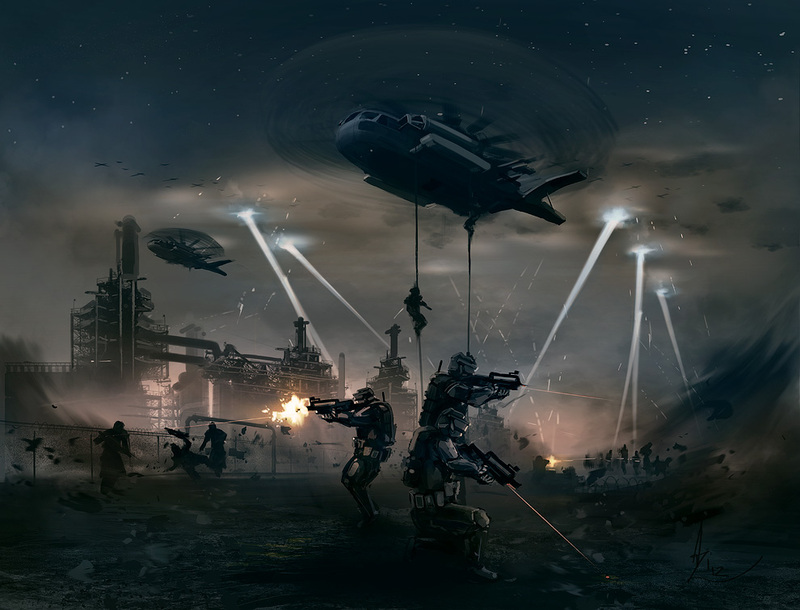 Kenetic weapons are a must on the ship, however there have been reports of multiple energy weapons being loaded onto the ship, however this has never been confirmed or denied by the Union Military Representatives. 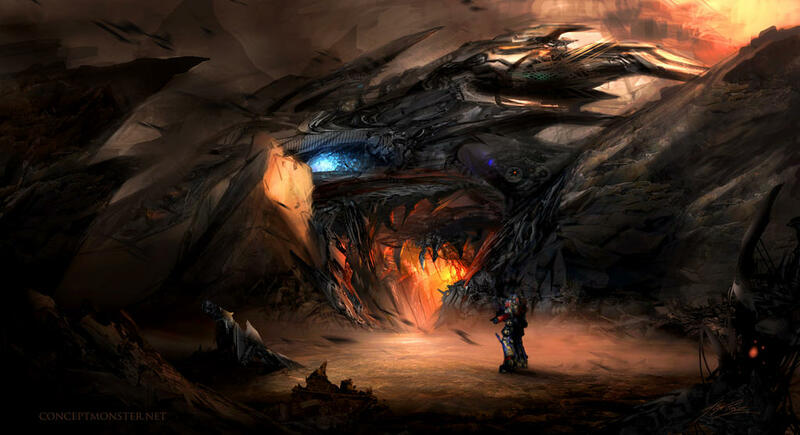 Only time will tell if this beast is up to the task of defending a planet, both on the battlefield and diplomatically. Updated with a fair ammount of content. Still very far from finishing. Any constructive criticism is more than welcome.